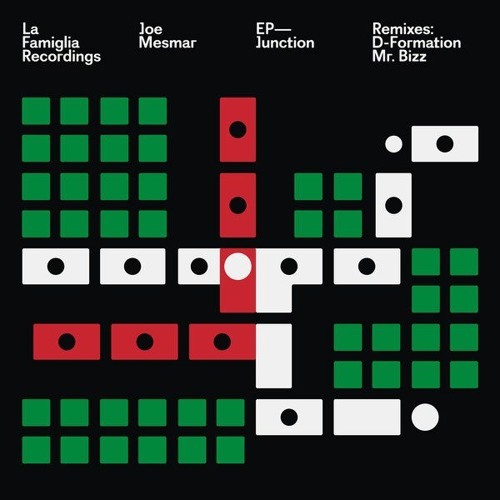 La Famiglia Recordings is back with a monster EP. The rising talent Joe Mesmar makes his debut with 2 great techno bombs! Joe is working hard and has released on several top tier labels. This time he brings Junction and What Goes Around! Driving and shaking grooves, heavy basslines and drums to get you moving! On remix duties we have the Spanish legend D-Formation and the Italian bomb producers Mr. Bizz! They both bring a unique techno flavor to the ep and demonstrate pure talent and expertise. Techno at its finest! Love this.. the synths are amazing, the percussions are on point. Yes! the vocals are sick !! Quand tu viens a Paris ?